BTIG analyst Rich Greenfield crunches those numbers (registration required), and concludes that this makes Netflix the equivalent of the most-watched cable TV network: He figures there are 28 million U.S. Netflix subscribers watching an average of 87 minutes of Netflix per day, or 43 hours per month. That puts it on par with the Disney Channel. Presumably some of those hours were spent watching “House of Cards,” Netflix’s first big-budget foray into original programming. 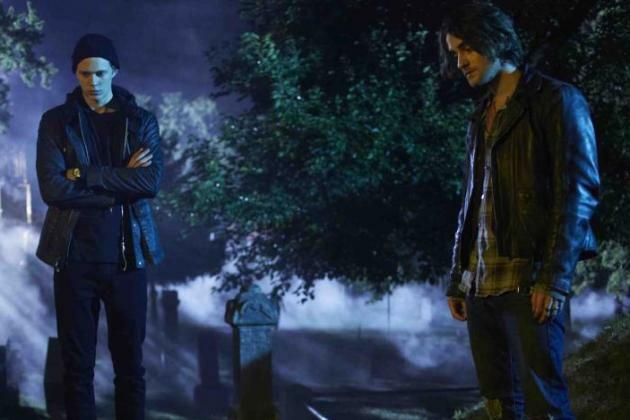 Which leads us to the maybe-not-such-good-news for Netflix: Its next show may be a dud. You can’t say the reviews are in for “Hemlock Grove,” a horror series from director Eli Roth that debuts next week. But one prominent review is in, from the Hollywood Reporter’s Tim Goodman. And it is not good at all. “Here comes the company’s first truly bad series,” Goodman writes, then goes on to complain about the show’s writing, acting, casting and everything else. And if you want to keep going, you can argue that there are lots of popular TV shows that critics don’t like (though no one was making this argument when “House of Cards” got raves). Want more? Okay. 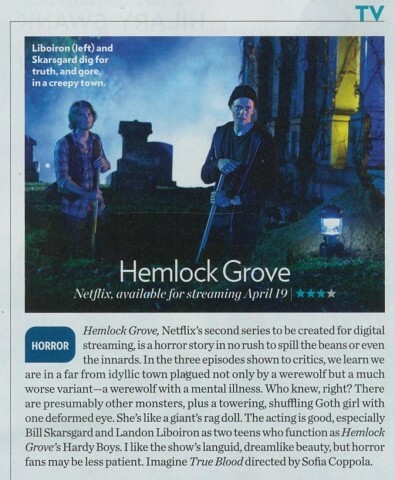 Even if “Hemlock Grove” is a real stinker, Netflix gets more chances, just like any other TV network. A new season of “Arrested Development,” up next month, is almost certain to succeed, based on the show’s rabid fan base, much of which was cultivated on Netflix in the first place. * Don’t worry! The SEC has now blessed this form of communication, which is a good thing, since it’s 2013. Phew.